For almost a decade beginning in 2005, we have been contributing 1% of our gross sales from the Red & Black Cafe to support financial aid. Our 1% For Aid campaign has now just reached over $48,000. These funds have been restricted to financial aid and since 2009 we have specifically directed these funds to the Johannah Justin Jinich ’10 scholarship, (a cause dear to our hearts). As we begin our 12th year in business, we appreciate all the support we’ve received from students and will continue to support you. We have been associated with Wesleyan and Middletown for more than two decades. In 1991 we created Wes Wings. During the 90s, we purchased the “Pythian Building” at 360 Main street and opened Eleanor Rigby’s Gourmet Deli and Cafe. In addition, we renovated the historic Main street building, added office tenants and took part in the downtown’s revitalization serving on the Main Street USA committee, the precursor of today’s downtown business district. In 2003, after having sold both Eleanor Rigby’s and the Pythian building, Wesleyan approached us to take part in the new bookstore project converting the privately owned Atticus Books to Broad Street Books. While Wesleyan managed the bookstore through their partner, Follett HEG, we created the Red & Black Cafe. Both Follett and Red & Black hired the existing employees of Atticus Books as is the policy of Wesleyan. We are proud of the fact that after almost ten years, four out of the five full-time employees we inherited from Atticus are still with us today. We have approached our position on the proposed relocation in two parts. There is the issue of whether the bookstore should move and then the issue of what happens to the Red & Black Cafe if it does. 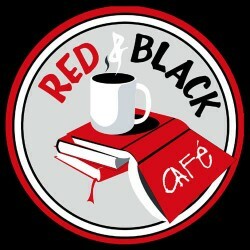 The Red & Black Cafe is located inside the bookstore but operates as a separate entity. While we do both share customers from time to time, we are not dependent on this coexistence. We are overwhelmingly a campus dining facility (90% meal plan) that happens to be open to the public. Should the bookstore move? No. Our view on this is more as members of the Wesleyan community, not owners of the cafe. There have been two potential benefits listed in the proposal. The second is the hope that the “new businesses would enhance connections between the campus and downtown.” We will let our friend, Jen Alexander ’88, speak to that issue as she did in a blog post. Jen’s views carry weight, as the creator of Kid City, a resident of the neighborhood and an active alum whose community work the university felt deserving of recognition with an honorary degree. The first benefit is “a long-term reduction in our overhead costs for our current model of the bookstore”. In plain terms, the bookstore doesn’t make the kind of money it used to. We believe this is exactly the reason why Wesleyan must keep the bookstore. We’ll say it again. Because the bookstore has been generating less income for the university is the biggest argument to keep it. Ten years ago Broad Street Books entered a fairly stable market. Wesleyan told them what textbooks to order, the students lined up and cash registers didn’t stop for two weeks. While other independent bookstores were closing from competition from the big box stores like Borders and Barnes & Noble, stores like Broad Street still thrived from a textbook market that was essentially a monopoly. Over the years, the business of bookstores has changed dramatically. The giants like B&N and Borders have seen their market share sink to Amazon and countless other online sellers. Textbook sales have seen a steady decline as students have found other sellers. While we don’t know exact numbers, we have witnessed a precipitous decline in students during “book rush.” Now we are experiencing the rise of Kindles, Nooks and iPads and the downloadable e-book. In recent years, Borders has filed for bankruptcy, and Barnes & Noble is trying to decide where it goes. The same economic and technological forces that have affected Broad Street Books will no doubt affect whatever new bookseller occupies space in the proposed development. Wesleyan is not a business, Wesleyan is a university. There are many facets and operations on campus that may not make sense to a business but are vital to a university. An active fully functioning school bookstore is the university’s welcome mat to prospective students and their families. It is a primary stop for alumni returning to campus. And finally it is critical for students and faculty for books, gear and supplies. If a private bookstore, with no contract with the university takes over the responsibility of “campus bookstore,” what will happen when they decide to close? Unlike the current bookstore, there will be no contract or responsibility to continue operations until a suitable replacement is found. The university could potentially be left without a provider of textbooks and gear just before the start of a semester or perhaps before homecoming or commencement and reunion weekend. The bookstore business is not in transition, it is in disarray. As technology changes, so does the business model and nobody can say for sure where it will be next year, let alone five years. Will everyone have a Kindle or iPad? Will schools adopt a streaming model where students pay one fee for unlimited online access to their textbooks? Wherever the trends are going, Wesleyan needs to be in control. What Happens to The Red & Black Café? Should the bookstore be closed, it remains unclear whether or not Red and Black would move, stay at its current location, or simply close. We are stunned by this. Like we said, now it gets personal. The Red & Black Café has been an integral part of Wesleyan for almost a decade. While the business model of the bookstore may no longer work, the business model of the Cafe is outstanding. The cafe generates tens of thousands of dollars for the university every year. (Not to mention our contributions to financial aid.) We provide employment for students and have consistently been one of the most popular places to eat, study and socialize on campus. 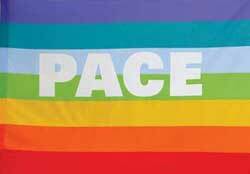 We are reluctant to discuss the tragic events of May 6, 2009. This campus suffered greatly that day and in the months and years that followed. We will only say this. In the days that followed, we were asked “if we wanted to close the cafe. Everyone would understand if you closed”, we were told. We explained that our staff, “the core four” as we fondly refer to them, had personally experienced a horror like none other. They would be forever changed. We could not compound their misery by taking away their livelihood and in some cases, the only jobs they had ever known. It has taken a great deal of time and effort to rebuild the Red & Black Cafe. Wesleyan was incredibly generous in funding a redesign. The administration, faculty and staff were as helpful and understanding as could be. The first year was slow as students were reluctant to come back. But we never gave up as we kept trying increase our business. We are currently experiencing one of our busiest and most profitable years ever. We refused to let the actions of a murderer shut us down and we certainly won’t be closed because of a developer’s plans. We know what has been put forward is simply a proposal. We also believe there are no plans to close the cafe. But nobody has ruled it out. We are asking both the WSA and the administration to take us out of the equation. Both need to state that whatever happens to the bookstore, the Red & Black Cafe, like its neighbors the Argus and WESU, will either continue in its current location or an appropriate location elsewhere on campus. We look forward to hearing other views on the subject at the forum on Tuesday, November 27, at 4:30 pm in 41 Wyllys, room 112. Back in 2005, we began our 1% campaign to support financial aid. For over seven years, we have contributed 1% of our gross sales from the Red & Black Café, to the Wesleyan Fund. We are proud to announce these contributions have topped $38,000. Since 2009 we have specifically directed these funds to the Johannah Justin Jinich ’10 scholarship, (a cause dear to our hearts). As we begin our tenth year in business, we appreciate all the support we’ve received from students and will continue to support you.